This post is bulletin boards that my niece Nicole Whitacre has allowed me to share with you. 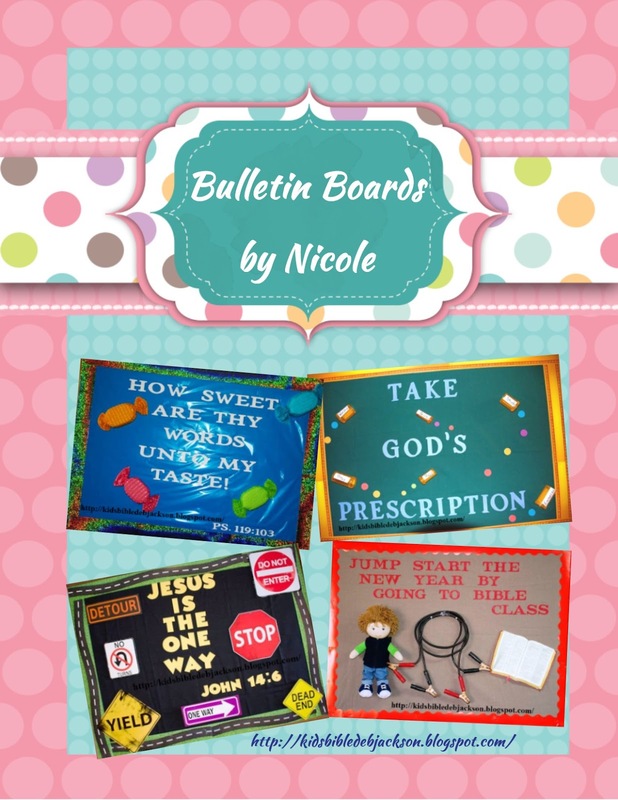 Nicole has written a few words to tell you what she used to make the bulletin boards. Thanks so much Nicole for letting me share them! 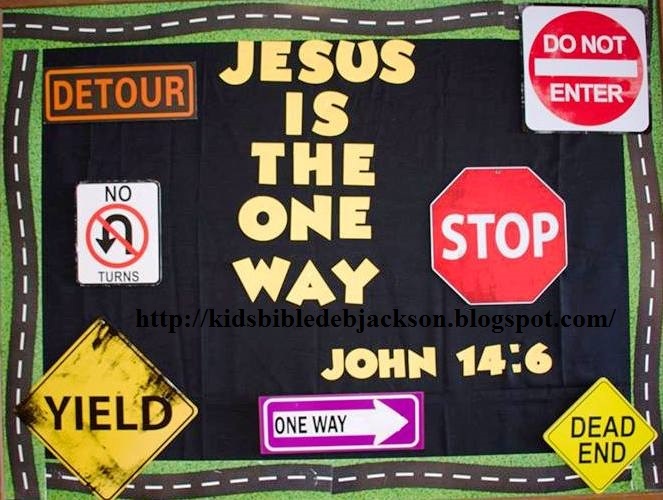 For this Jesus is the Way bulletin board, I bought the signs from Mighty Dollar that are metal and wooden. 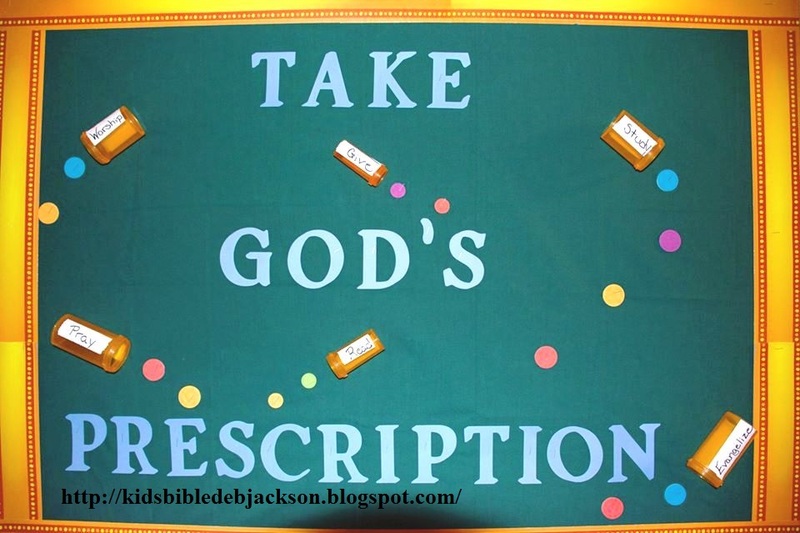 Take God's Prescription bulletin board is just old pill bottles that I put the words worship, pray, study, give, read, and evangelize. The words were put on white duct tape, and the pills are different sizes of foam circles. 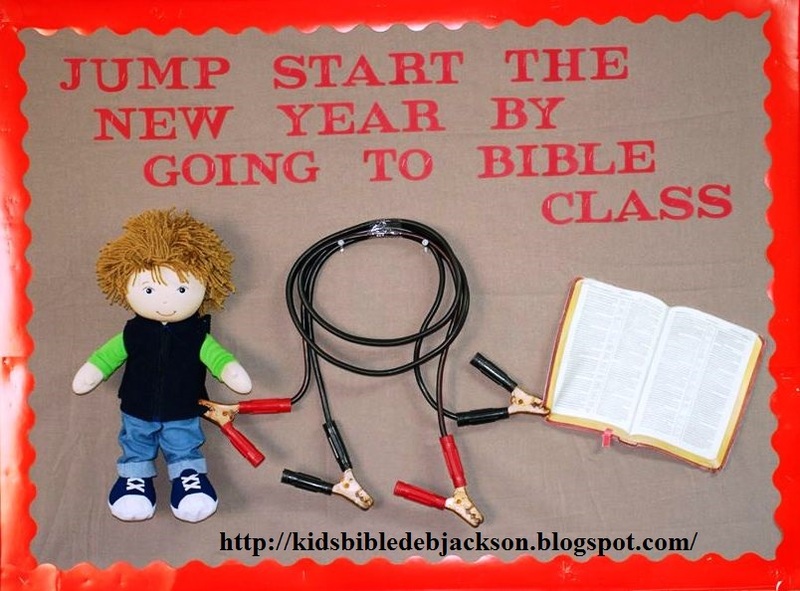 For this bulletin board, I used a boy doll, jumper cables, and the Betty Lukens open Bible. I connected the cables to the dolls clothes and the Bible. 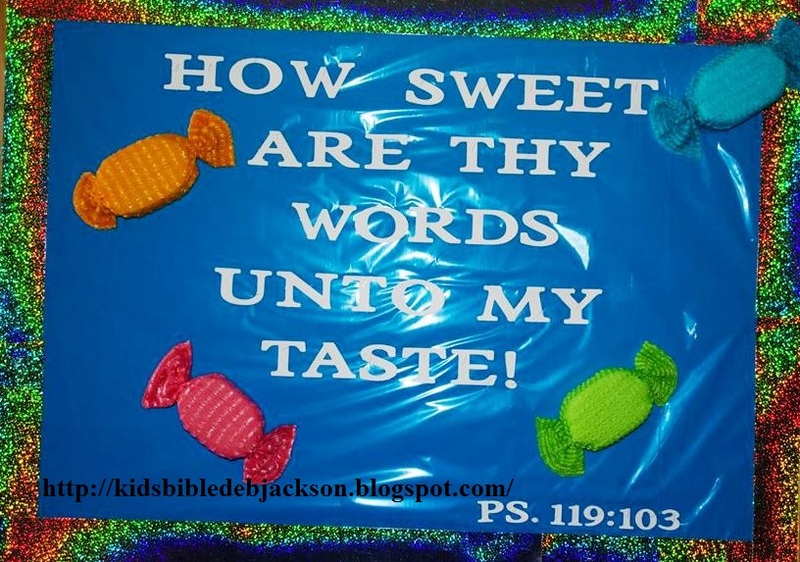 For this Sweet bulletin board, I used white fabric for the background and then put blue cellophane over it to look like a candy wrapper. The candies are bath sponges that I purchased at the Mighty Dollar. See more of Nicole's Winter Bulletin Boards here. Love new ideas. Thank you for sharing these cute eye catching reminders. Thanks so much for the comment! I appreciate you stopping by!